Are you trying to find some unique Christmas gifts for your husband or boyfriend? With a bit of creativity and if you think outside the box, you are bound to get some very good results. The idea is to identify what he likes/needs the most and purchase such an item. Here are some great Christmas gift ideas for him that he will definitely enjoy. Most men tend to be very practical, so getting them a fancy multi-tool can help a lot. Usually, these are great for outdoor and indoor use, and they can easily solve a variety of issues around the house. Overall, this is a great gift and one that can be used rather often. Yes, a drone is a very thoughtful gift for any man. It’s gadgets like these that offer them plenty of fun and excitement. You don’t have to purchase a very expensive drone; even a simpler one will do. After all, the fun comes from flying and sometimes even crashing the drone. Plenty of men love coffee. If your loved one does enjoy coffee, just consider getting a cool coffeemaker with additional features like keeping a specific temperature and so on. 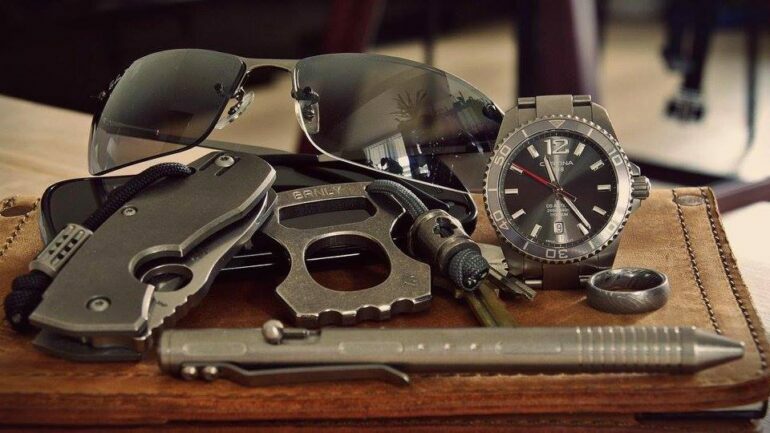 Aside from looking great, a vintage supply kit is also designed to offer a knife, key organizer, and other similar tools. It’s a wonderful gift, especially if you can get one from materials like wood or gold. Gadgets are great to use, but their problem is that their battery runs off very fast. If you want to solve this problem, try to get your boyfriend/husband a power station for Christmas. This will help him charge the unit on the go without any headache. Not every man wears indoor shoes, which is why this can be a cool gift. If possible, opt for those created out of 100% moisture-wicking wool. They are an extraordinary purchase, one that will help your loved one keep his feet warm and away from bacteria. Men love to travel and to carry things with them. That’s why a backpack is really handy and a very interesting gift. Of course, you can opt for some specific backpack models, but things like water resistance, durable straps, and a high-quality build should be the things to focus on. There are lots of cool subscription boxes that you can opt for. LootCrate offers geeky stuff, Gentleman’s box offers men’s grooming products and so on. The possibilities are limitless, and you can choose from a single month’s subscription or a full year, among other options. Some men love board games, so picking one of the nicest or newest board games can come in handy too. Plus, board games are a great social experience too, so you should check them out. One thing is certain; there are lots of cool gifts that you can share with your loved one. Try to identify which are the best ones for your boyfriend/husband and give them a shot. You are bound to like the results quite a lot in the end!